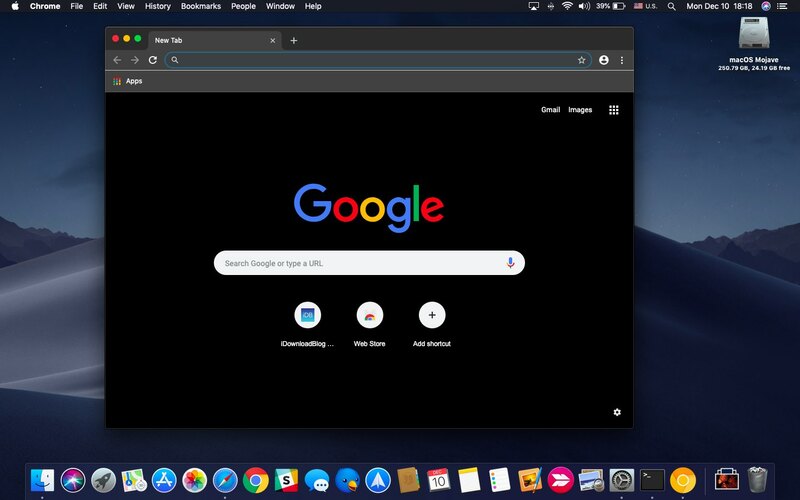 Chrome is a popular web browser so it’s puzzling that it does not support a new system-wide Dark Mode introduced in macOS Mojave, but don’t worry because Google is working on it. 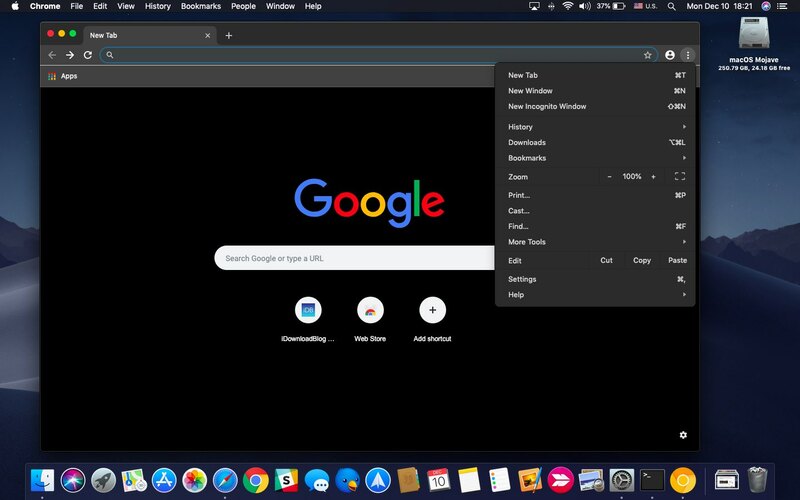 As noted on Reddit, Google last week released Chrome 71 but without support for macOS’s Dark Mode. That doesn’t mean you should hold your breath for a darker Chrome interface in an upcoming 72.0 build that branched a week ago—even though it has theming support, there’s currently not an API that would let the browser automatically switch between the Light and Dark theme when a user’s changes their system settings. Thankfully, one of Chrome’s developers recently submitted a code change meant to fix just that and implement proper Dark Mode support in Chromium, Google’s open-source web browser project that provides the core codebase for Chrome and many other browsers. This code has passed the review process. As such, it’s expected to trickle down to the stable version of the Google browser in early 2019. 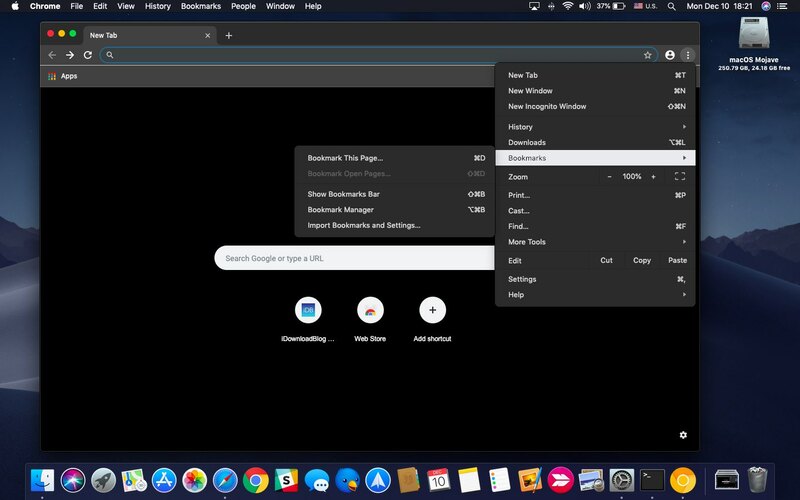 If you ask us, we’re expecting official, proper support for Mojave’s Dark Mode in Chrome 73 for Mac, to be released some time in early 2019. 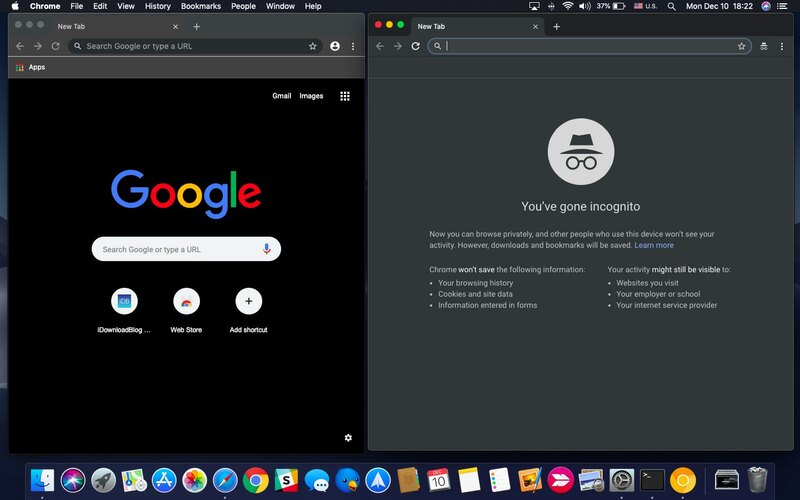 It’ll be interesting seeing how Chrome’s existing Incognito mode will get rendered when the user enables Dark Mode. Incognito tabs currently use shades of gray, not pure black. Before the new Dark Mode, there was a problem with how browser actions looked in darker interfaces, mainly in Incognito mode and when dark themes are used. And now, with the adding of the new Dark Mode support, this problem will become more annoying for a lot more users. 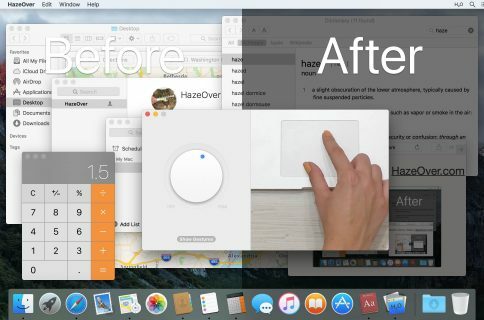 I think the main concern here is how Dark Mode for Mojave will be distinguishable from Incognito mode. Moreover, Chrome pages (such as the New Tab page, Settings, History, etc.) and maybe the submenus of Chrome’s bookmark bar and the three-dot menu should also fully support Dark Mode. 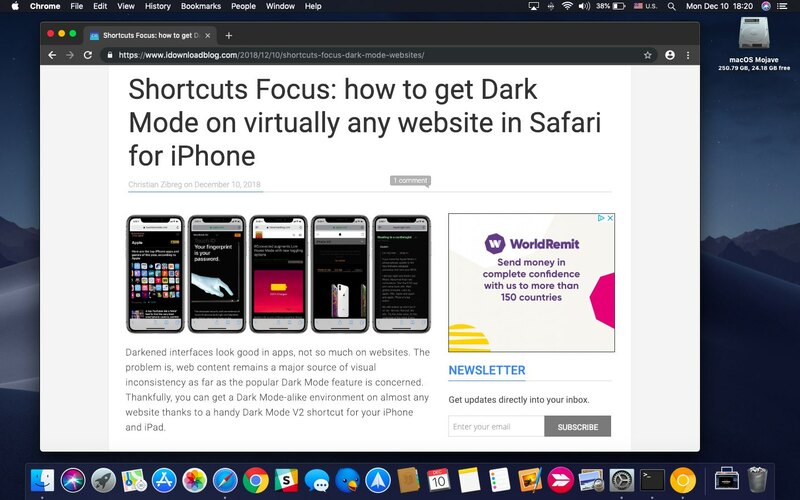 I can confirm that enabling Dark Mode support in Chrome Canary 73.0 tints the whole user interface dark along with Chrome’s Omnibox, the bookmark bar, the status bar, the menus, dialog boxes and the startup page with Google Search. Chrome Beta is a version of Chrome meant for beta testers who wish to try out upcoming features. Chrome Beta replaces the current stable version installed on your computer. Chrome Canary is a nightly build for developers that lives alongside the regular Chrome version. 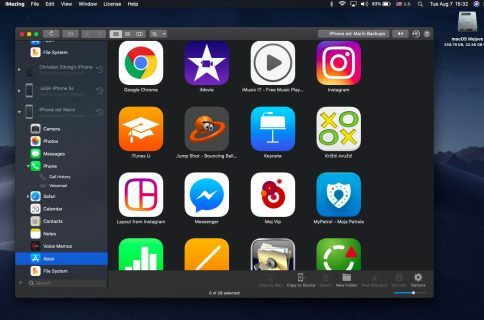 Chrome users can download third-party themes in Chrome Web Store to force darker appearances on Facebook, Twitter, YouTube, Reddit and other websites but these are hacks because none of the downloadable themes we’ve tried would tint Chrome’s URL bar dark. Speaking of which, it’s particularly important to underscore that this article is about coming Dark Mode support for Chrome’s user interface, not for websites you access in the browser. The current HTML specification lacks support that would permit websites to automatically switch to a darker style sheet if the visitor has Dark Mode enabled on their computer. You can work around this on iPhone in Apple’s Shortcuts app, as we explained earlier today.